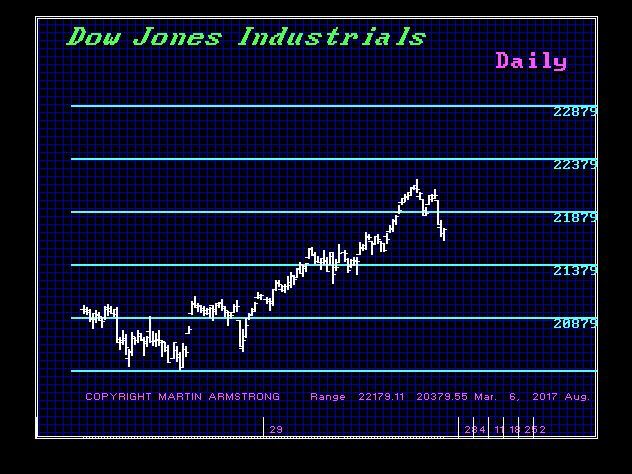 The Dow has bounced slightly as to be expected, but we are now in a consolidation pattern for the balance of the month. Just pay attention to the Global Market Watch for it has been doing an excellent job at calling the turning points so far. Private the Global Market Watch and the blog posts are exclusively available to Socrates subscribers. To sign-up for Socrates or to learn more, please visit Ask-Socrates.com.